A play in a dark, underground theatre about killing animals does not seem at first glance like it's going to be a barrel of laughs — especially at a time when there are fears of a cat killer in Croydon. 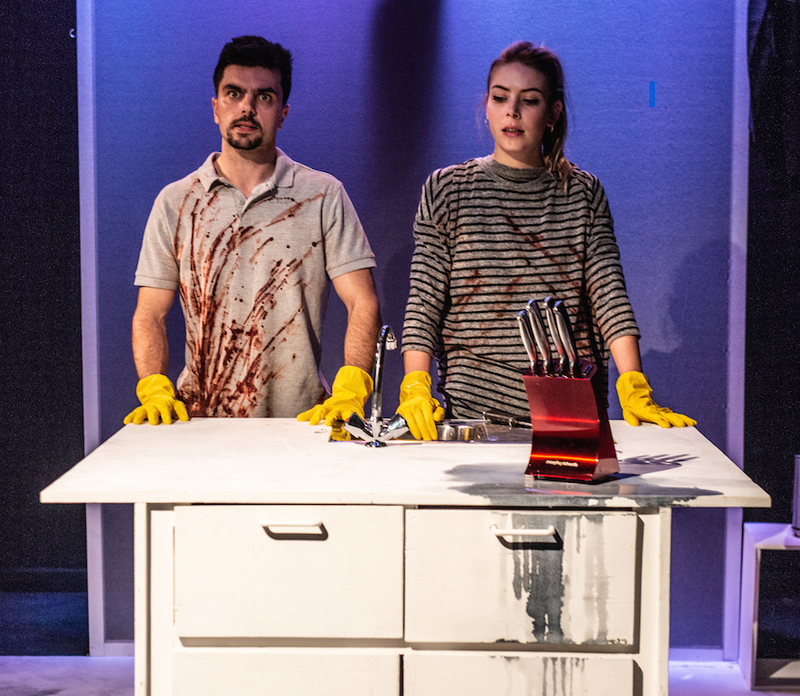 However, Chutney, performed by Flux Theatre, is an enjoyable and intelligent black comedy tackling pet murderers. Gregg and Claire are a middle-class, John Lewis buying, Ocado ordering, posh coffee drinking couple living out a "perfect" life in suburbia. Their taste in kitchen appliances is not the only thing they have in common: they both harbour a deep-seated addiction to killing animals. Neighbours' cats, dogs, fish and rabbits mysteriously go missing at the hands of the young couple, who seem to bond over the gruesome murdering, then disposal, of various small animals. It's a fast-moving two-part play, with jolting movements and quick speech: at points, the latter throws the actors, who try to get their words out so rapidly that occasionally it's hard to actually understand what's been said. 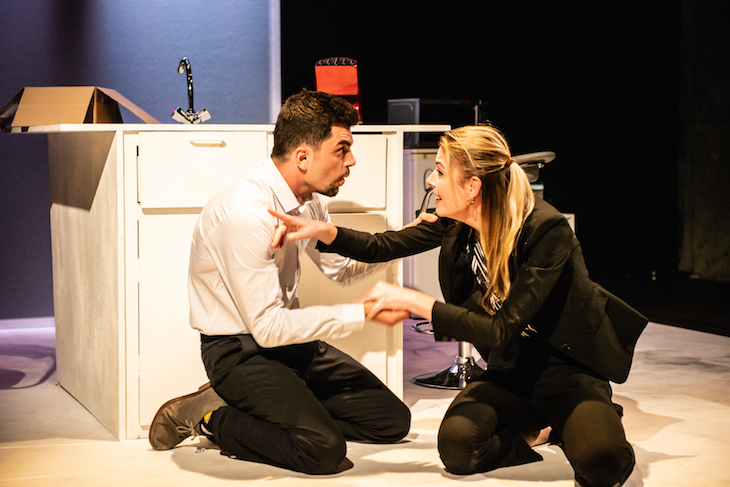 It all takes place in a minimalist set, featuring a white, sparkling clean kitchen which contrasts with the bloody state the couple regularly find themselves in. 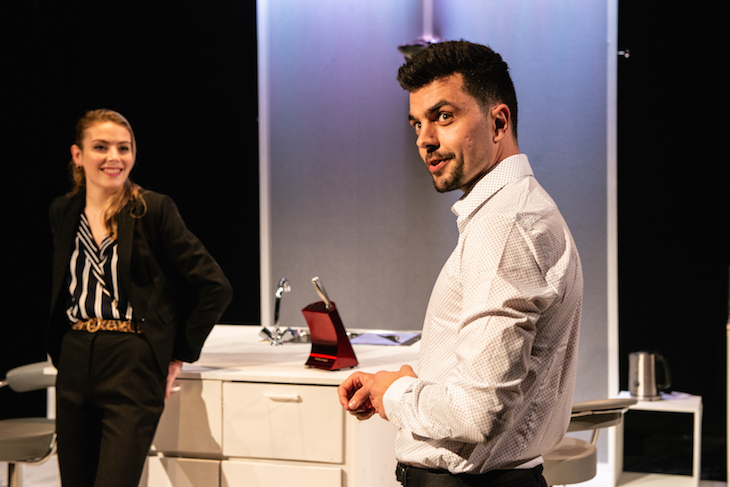 The small cast of just two, Will Adolphy and Isabel Della-Porter, are both equally comedic and frightening, playing the murder-crazed pair with apparent ease. The play is — despite the gruesome subject and fairly graphic descriptions — rather clever. You do feel guilty at times, laughing at the fate of the poor dog whose collar is stuck to the fridge, but the way Chutney challenges preconceptions is precisely why it works so well. The scariest part comes when the audience discover the reasons behind Claire and Gregg's murderous tendencies: suddenly we find ourselves questioning our own lives and morals. Not one for the squeamish, but a great watch if you're wondering how to dispose of dead bodies or just want a bit of a laugh. Chutney, The Bunker, 53a Southwark Street, SE1 1RU. Tickets from £10, until 1 December 2018.